Öffentliche Diskussion zur Integration von Geflüchteten (mit OB Arnold, Schwäbisch Gmünd und OB Palmer, Tübingen), Schwäbisch Gmünd, Januar. On the political participation of immigrant-origin voters – summary and suggestions, final conference of the project „Vote D“, conducted by Minor e.V. and funded by the German government, Berlin, December 15. 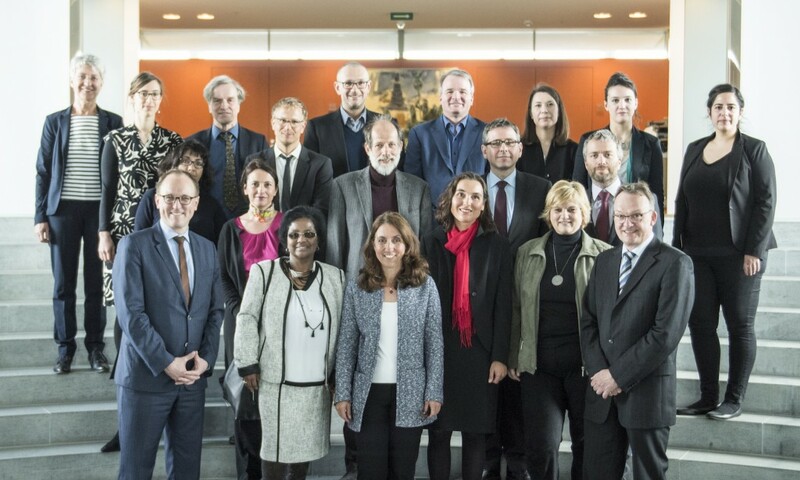 On the political participation of immigrant-origin voters – academic input, meeting of the adisory board on the project „Vote D“, conducted by Minor e.V. and funded by the German government, Berlin, April 26 (with minister Özoğuz). On asylum migration and its consequences for politics and society, conference Cityscapes of the German House for Research and Innvovation (DWHI), Delhi, October 1. On „Musterland der Integration – Ausgangslage, empirische Befunde und Handlungsansätze“, Abendkabinett der Landesregierung Baden-Württemberg, Stuttgart, September 12. Input „Wahlbeteiligung von Bürger_innen mit Einwanderungsgeschichte“, Tagung der FES Teil haben – Teil sein, Berlin, June 7. On „The Refugee Crisis and Beyond: Challenges to Germany’s Immigration and Integration Policies“, Enaudi Center Foreign Policy Distinguished Speaker Series, Cornell University, Ithaca, New York, May 2. Impulsvortrag „Menschen mit Migrationshintergrund als (potenzielle) Wählerinnen und Wähler“, Tagung der FES „Demokratie und Wahlen“, Berlin, May 11. On „The Career of immigrant-origin MPs in Germany“, 23rd World Congress of the International Political Science Association (IPSA), Montréal, July 20. Discussant on the session on „political participation and integration“ of the 1st annual conference of the the Bamberg Graduate School of Social Sciences (BAGSS), Bamberg, July 14-15. On „Umfragen und Fragebogen – Fallstricke“, Bundesverband Deutscher Marktforscher (BVM), Regionalgruppe Köln-Bonn, July 1. On „Institutionalisierung der Interessen von Migrantinnen und Migranten – eine kritische Reflexion“, Migrationsbeirat Mannheim: Bilanz und Perspektiven, June 4. On „The Migrants‘ Speeches: A contribution to the study on parliamentary behaviour of immigrant-origin MdB, 1996-2013“, 40th annual conference of the IASGP, May 28. On „Jede Stimme zählt: Politische Einstellungen, Wahlverhalten und Repräsentanz von Migrantinnen und Migranten“, conference Integration ist (auch) Ländersache, Friedrich Ebert Stiftung – Forum Berlin, February 6. On the political representation of immigrants, Colloquium of the Political Science Department, Universität Tübingen, January 22. (with Muhterem Aras, Miguel Vicente, Kerim Arpad and Dietrich Thränhardt). On „Some reflections on surveying electoral candidates“, 4th PartiRep Day, Brussels, June 14. On „Politische Repräsentation von Migranteninteressen“, Parteienwissenschaftliches Symposium 2013 „Parteien und Ausländer“, Düsseldorf, April 20. On „Active Citizenship“, Expert Seminar of the EU Commission on Social Inclusion and Active Citizenship Indicators, Lisbon, November 29-30. On „Politische Partizipation von Zuwanderern“ (discussion with Miguel Vicente and Lale Akgün), Friedrich Ebert Stiftung, Mainz, November 22. On „Partizipation von Menschen mit Migrationshintergrund“, Universität Koblenz-Landau, Landau, November 13. On „Integration und Willensbildung: Wie bringen sich Zuwanderer ein?“, Evangelische Akademie Berlin/Hertie Stiftung, Berlin, November 3. On „The participation gap of immigrants: empirical results and political consequences“, Deutsch-Französisches Institut (DFI), Ludwigsburg, September 19-21. 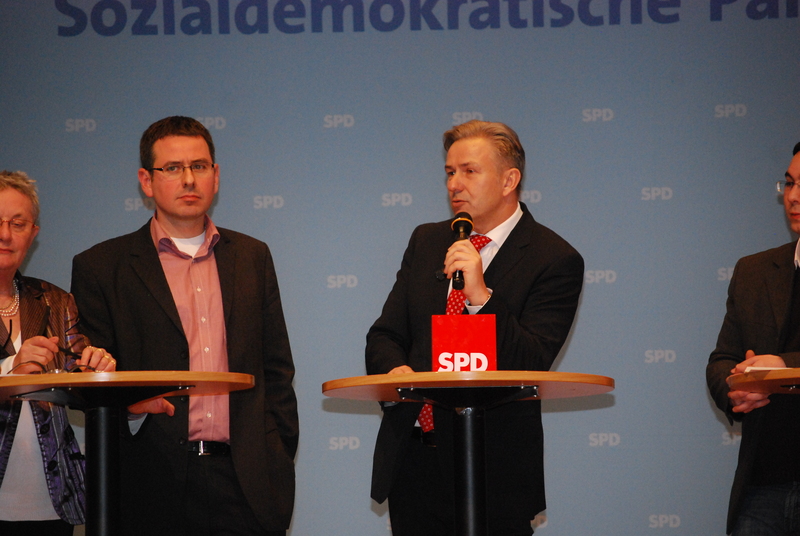 On „Gelebte Vielfalt“ (with Bilkay Öney), press conference of the state of Baden-Württemberg, Stuttgart, June 4. On „Integration in und durch die Politik“, Friedrich Ebert Stiftung, Stuttgart, November 5. On „social and political participation“, expertise for the parliamentary commission of the state parliament of Hesse „Migration und Integration in Hessen“, Wiesbaden, September 9. On „Individual activities of immigrant parliamentarians in German parliaments: On the role of time-variant and time-invariant factors“ (prepared for publication in The Journal of Legislative Studies), ECPR General Conference, Reykjavik, August 25-27. On „Party and Group Representation? Issue positions and responsiveness of parliamentary candidates in Germany, Switzerland and Austria” (with Marcelo Jenny), Dreiländertagung, Basel, Januar 13-14. On „Individual activities of immigrant parliamentarians in German parliaments: On the role of time-variant and time-invariant factors“, Colloquium of the Institute of Social Research, Oslo, October 1. On „Campaigning on an Upper Level? Individual Campaigning in the 2009 European Parliament Elections in its Determinants“ (with Heiko Giebler, published in Electoral Studies), Conference Elections, Public Opinon and Parties (EPOP 2010), Essex, September 10-12. On „Wie wählen Migranten“, Conference of the Konrad-Adenauer Foundation (with Emine Debürken-Wegener), Cadenabbia, June 23. Discussant on the Conference Immigrant Political Incorporation in Europe, Amsterdam, June 10-11. On „Migrantinnen und Migranten als politische Akteure“, Conference Politische Integration – teilhaben, mitbestimmen, wählen, Bad Boll, May 18. On „Descriptive and Substantive? Immigrant politicians and their parliamentary activities in Germany“, Institut für Höhere Studien, Vienna, May 12. On „Abgeordnete mit Migrationshintergrund: Wahlmodus und Relevanz des Hintergrunds im politischen Handeln“, Conference Krise und Reform politischer Repräsentation, Trier, May 8. On „Political Actors of Immigrant Background in Germany: Core Findings and Open Questions“, Conference of AICGS/Woodrow Wilson Center Muslim Political Integration: Mobilization in Comparative Perspective: Germany and the United States, Washington, USA, May 3. On „Campaigning on an upper level? Individual Campaigning in the 2009 EP Elections in its determinants“, 17th Conference of the Council for European Studies, Montréal, Canada, April 15-17. On „Parliamentarians of Immigrant Background in German Parliaments: How They Get Elected and How Individual Activities are Structured“, 17th Conference of the Council for European Studies, Montréal, Canada, April 15-17. On „Migranten im Superwahljahr 2009: Wahlberechtigte, Wähler, Kandidaten und Abgeordnete“, various election conferences and panels: Maria Laach, Hannover und Tutzing, November and December. On „Migranten als politische Akteure – Forschungsfragen, Ergebnisse, Desiderata“, Statistische Woche, Wuppertal, October. 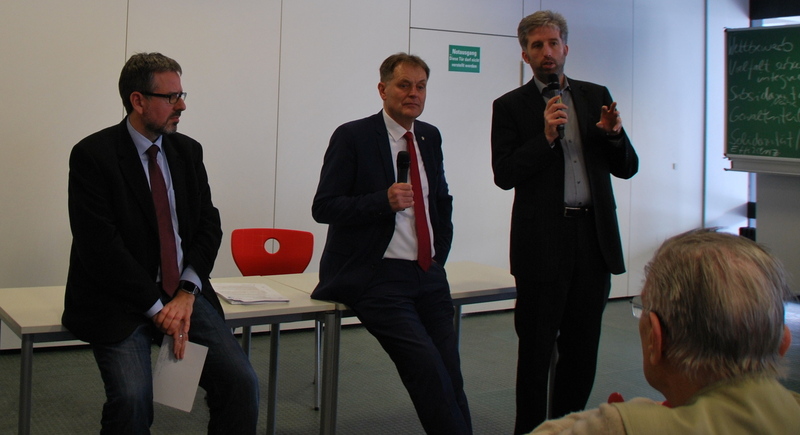 On „Politische Partizipation von Migranten“, 11th SWR-Medienforum Migration, discussant on the panel (with Michael Bommes, Steffen Angenendt and Bülent Arslan), Stuttgart, May. On „Migranten als politische Akteure – Zwischenstand“, MZES, Mannheim, February 23. On „Bürger mit Migrationshintergrund – potenzielle politische Akteure“, Partizipation in und für Europa, Berlin, February 21-22. On „Bürger mit Migrationshintergrund – potenzielle politische Akteure“, Politik und Islam: Problemfelder und Zukunfsmodelle, Wildbad Kreuth (conference of the Hanns-Seidel Foundation), Dezember 12-13. On „Candidate Nomination in Germany and Europe: Patterns and Evaluation“, Primaries or Nominating Committees? The Crisis of Nominations in Israeli Political Parties, Netanya, Israel (Netanya Academic College), November 16. On „Vereinbarkeit von Familie und Beruf in Heidelberg: Ergebnisse einer Befragung im Öffentlichen Dienst“, Heidelberg City Council, July 9. On „Immigrants and Ethnic Minority MPs in Britain, Germany, France and Sweden: Political Representation and Representational Roles“ (with Thomas Saalfeld, presenter, published in PVS), ECPR Joint Sessions of Workshops, Rennes, France, April 11-16. On „Politische Partizipation von Einwanderern“, Politische Integration von Migranten, Bonn (conference of the Friedrich-Ebert Foundation), February 16. On „The Political Representation of Migrants in Germany“ (with Dominic Heinz), Etranger – Fremder in Frankreich und Deutschland, Strasbourg, France, November 29. On „Compatability of Familiy and Employment“, Nacht der Wissenschaft, Mannheim, November 10. Discussant on „Immigration Policy in France and Germany“, Französische Filmtage in Stuttgart, Stuttgart, November 4. On „Compatability of Familiy and Employment“, Familienfreundlichkeit rechnet sich, Worms, October 9. On „The Political Representation of Migrants and Ethnic Minorities: The United Kingdom and Germany Compared“ (with Thomas Saalfeld, presenter), 31st Annual Conference of the German Studies Association, San Diego, USA, October 4-6. On „Survey Reseach and Campaigns“ (with Thomas Gschwend), 3rd International Summer Academy „Political Consulting and Strategic Campaign Communication“, Bruchsal, September 27. 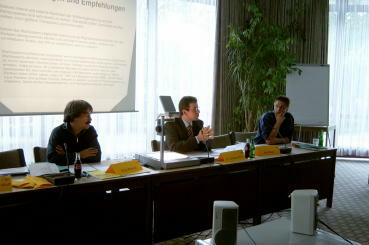 On „Compatability of Familiy and Employment“ (with Christian Stumpf), Vereinbarkeitsstudie MRN 2007, Heidelberg, August 17. On „Bundestag Candidates and Immigration Policy: An Analysis of Core Policy Aspects“, Jahrestagung des AK Wahlen und politische Einstellungen der DVPW, Mainz, July 12 (revised version published in ZPol). On „German Parties, Their Bundestag Candidates and the Electorate“, Zwischen Wählermarkt und Werteorientierung: Parteien und Programme im Wandel der Zeit (with Georg Fahrenschon and Christian Lange), Wildbad Kreuth, June 14-15. Workshop Director (with Thomas Saalfeld) on „Migrantion and Representation in Parliamentary Democracies“, ECPR Joint Sessions of Workshops, Helsinki, May 7-13. On „Migrants as Political Actors: Mass and Elite Perspectives“, Challenges to Integration Research and Policy, WZB, Berlin, April 14. Convenor, Workshop on Migrant Representation, MZES, Mannheim, February 23-24. On „Migrant and Minority Representation“, Symposion of the Green Party (with Cem Özdemir, Omid Nouripour, Filiz Polat and Nebahat Güclü), Essen, November 25. On „Migrants as Political Actors“, Netzwerktreffen türkeistämmiger Mandatsträger (with Ergun Can and Aydan Özoguz), Munich, November 11. On „Survey Research and Campaigns“ (with Thomas Gschwend), 2nd International Summer Academy on Political Consulting and Strategic Campaign Communication, Mannheim, July 26. On Saying and Doing (Something Else? ): Does EP Roll Call Voting Reflect Euromanifesto Content?“ (with Thorsten Faas), European Election Study 2004 Conference with support of CONNEX, Lisbon, May 14. On „Die politische Integration von Einwandererminoritäten“, Vollversammlung der Landesarbeitsgemeinschaft kommunaler Ausländervertretungen Baden-Württemberg, Stuttgart, April 28. Election Expert for Landtagswahl in Baden-Württemberg 2006, March 21-26, Radio Regenbogen. Discussant on „Integration und politische Beteiligung von Zugewanderten“ (with Ulrich Goll, Winfried Kretschmann, Frieder Birzele and Gari Pavkovic)“ organized by the Landeszentrale für politische Bildung Baden-Württemberg, Rathaus Stuttgart, March 10. On „Wahlverhalten und politische Repräsentation von Migranten“, Akademie für politische Bildung, Tutzing, February 9. On „Migrants as political actors“ (with Thomas Saalfeld), ABB-Kolloquium, MZES, Mannheim, January 16. On „Politische Repräsentation von Einwanderern – Forschungsstand und -perspektiven“, Berufungsverfahren Juniorprofessur Vergleichende Regierungslehre, Universität Mannheim, December 8 (Listenplatz 3). On elections to the Bundestag 2005, IGS and FES Election Conference (with Marc Brost, Thomas Poguntke and Simon Green), London, October 21. On elections to the Bundestag 2005, Symposion of the Bavarian and Saxionian Office for Political Education, Erlangen, October 14. Election Expert for Bundestagswahl 2005, September 11-19, Radio Regenbogen. 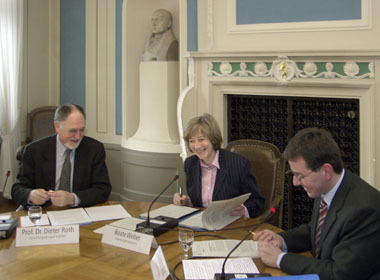 On elections to the Bundestag 2005, Transatlantic Fellowship-Program of the Bosch Foundation, Berlin, September 7. On elections to the Bundestag 2002 and 2005, Symposion of the Bavarian and Saxionian Office for Political Education, Chemnitz, September 6. On electoral participation and representation of foreigners (and Italians) in Germany, Italian Embassy (with Gianni d’Amato), Berlin, June 18. On electoral research in Germany, TU Darmstadt, June 3. On „Migration from a social science perspective“, International University Bremen, November 22. On „Wahlprogramme deutscher Parteien zu Bundestags- und Europawahlen“, ABB-Kolloquium, MZES, Mannheim, November 15. On „German Parties and their EP Election Manifestos“, 28th Annual Conference of the German Studies Association, Washington D.C., October 10. On „Deutsche Parteien und Europawahlen: Programmatische Schwerpunkte 1979-2004“, Symposium Campaigning for Europe 2004, Landau, October 2. On „Deutsches Regierungssystem und Europäisierung – Forschungsstand und praxeologische Perspektiven“, Berufungsverfahren Juniorprofessur Vergleichende Regierungslehre, TU Kaiserslautern, June 25 (Listenplatz 3). Participant in the workshop europathemen.de, organized by the Zentrum für Medien und Interaktivität (University of Giessen), the Bundeszentrale für politische Bildung, and arte (with Daniel Cohn-Bendit, Claus Leggewie, Dieter Roth and Christoph Bieber, Strasbourg, February 23. Background interview and quoted on issues pertaining to Superwahljahr 2004, Frankfurter Rundschau (February 18), p. 31. 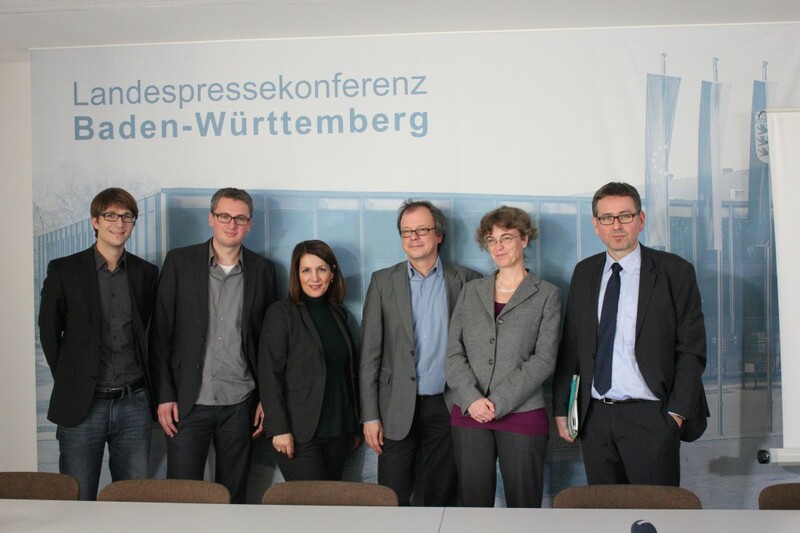 Presentation on „Stimmung, Projektion, Prognose“, University of Duisburg-Essen, Campus Duisburg, January 8. On the edited book „Politbarometer“, Mannheimer Morgen (December 19), politik & kommunikation (issue December 2003/January 2004). Presentation on the Electoral System and Elections in Jamaica, Deutsch-Jamaikanische Gesellschaft, Königswinter, October 4, 2003 [Bild vom Vortrag]. Presentation and Participation in the efms Workshop: Transatlantischer Diskurs zur Integration: Staatsangehörigkeit und Einbürgerungskultur (with Friedrich Heckmann, Michael Griesbeck, Claudia Diehl and Simon Green), Bayerische Landesvertretung, Berlin, July 7-8, 2003. Presentation on „Das Euromanifesto-Projekt“, IPW-Forschungskolloquium, University of Heidelberg, June 25. On „Direktkandidaten bei der Bundestagswahl 2002: Politische Agenda und Links-Rechts-Selbsteinstufung im Vergleich zu den Wählern“, DVPW section on elections, Stuttgart, June 6 (published in Brettschneider et al. 2004). Presentation on „Praxisorientierte Wahlforschung – Entwicklungsstand und Perspektiven“, Berufungsverfahren Juniorprofessur Politische Kommunikation, Universität Koblenz-Landau (Campus Landau), May 13. On „Wie wählen Neubürger?“, Der Spiegel (February 24), pp. 40-42 (p. 42), Pforzheimer Zeitung (March 12), p. 18. On elections to the Bundestag 1998 and 2002, Politischer Arbeitskreis der Gemeinschaft katholischer Männer und Frauen, Maria-Laach, November 16, 2002. Election Expert for Bundestagswahl 2002, September 18-23, Radio Regenbogen. Discussion on Bundestagswahl 2002, Turm 33 Cafédrale, Ludwigshafen, September 12. Discussion on „Marketing und Werbung der Parteien im Wahlkampf“ (with Oscar W. Gabriel and Frank Brettschneider), Stuttgart, September 9. On Non-Voters, TV Show „Hallo Ü-Wagen“, WDR, September 7, 11:05 – 13:00 (live). Wählerstruktur und Wählerprofile, Friedrich-Ebert-Stiftung, Berlin, August 14, 2002. Political Preferences and Voting Behaviour of Naturalized Citizens in Germany, ECPR Joint Sessions, Turin, March 22-27, Workshop No. 14: Political Participation of Immigrants and Their Decendents in Post-War Western Europe. Exit Polls as a Predictive Tool in the Elections to the European Parliament 1994 and 1999, Conference on „Exit Polls, Prediction, and Analysis in Election-Night Broadcasting in National and European Parliament Elections“, Brussels, April 25, 2001. Wirtschaft und Demokratie im Spiegel Empirischer Sozialforschung, Akademie für Politische Bildung, Tutzing, January 2000. Politische Einstellungen und Wahlverhalten der Deutschen 1998-2000, travelling workshop of the German Studies Association, Hildesheim, May 15, 2000. Wahlumfragen und Wahlprognosen, Universität Koblenz-Landau, June 2000. Eingebürgerte Personen in Deutschland: soziodemographische Merkmale und politische Einstellungen, 24th annual conference of the German Studies Association, Houston, October 6, 2000. Heidelberg-Studie 2000, Gemeinderat der Stadt Heidelberg, Stadtentwicklungs- und Verkehrsausschuss, Heidelberg, November 14, 2000. Wahl in Hessen 1999 – das Abschneiden der Grünen, Kreisverband Bündnis 90/ Die Grünen, Frankfurt, February 1999. Grüne – was nun? Fraktion Bündnis 90/ Die Grünen, Landtag Rheinland-Pfalz, Mainz, March 1999. Die Grünen im Tiefflug – einige Erkenntnisse der Wahl- und Umfrageforschung, Stategietagung Bündnis 90/ Die Grünen Region Rhein-Neckar, DAI Heidelberg, May 1999. Neubürgerstudie, Kolloquium der Arbeitsgruppe „Migration, Integration, ethnische Konflikte“, University of Mannheim, Mannheim, July 1999. Wahl- und Umfrageforschung: Ein Beitrag aus Theorie und Praxis, Fichte-Gymnasium, Karlsruhe, November 1999. Die Wahlen zum Europaparlament unter der Lupe – Wahlmodus, Stimmengewichtung, Wahlbeteiligung, Akademie für Politische Bildung, Tutzing, November 1999. Wählerstruktur und Wählerprofile, Friedrich-Ebert-Stiftung, Bonn, September 1998. Bundestagswahl 1998, Studium Generale der Universität Hohenheim, Stuttgart-Hohenheim, October 1998. Analyse der Bundestagswahl 1998, Sozialdemokratischer Bildungsverein, Mannheim, October 1998. Bundestagswahl 1998 – Instrumente und Analysemöglichkeiten, Institut für Statistik und Ökonometrie, Freie Universität, Berlin, November 1998. Solide Analysen trotz kühner Prognosen?, Volkswirtschaftliches Institut, Friedrich-Alexander-Universität Erlangen-Nürnberg, Nürnberg, December 1998. Wahlforschung und ihre Instrumente, Landeszentrale für politische Bildung Baden-Württemberg, Stuttgart, December 1998. Bundestagswahl 1998, Fraktion Bündnis 90/ Die Grünen, Landtag Baden-Württemberg, Stuttgart, December 1998.